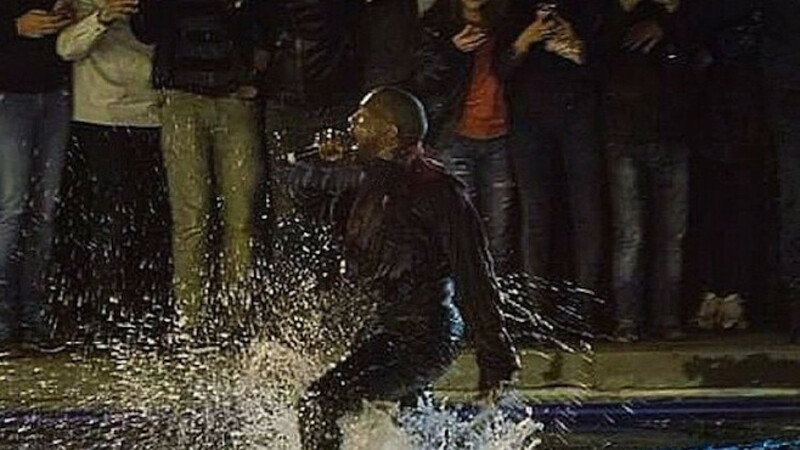 U.S. rapper Kanye West concluded a free concert in the Armenian capital of Yerevan by jumping into a pond to be closer to his fans, wife Kim Kardashian said on Twitter. The impromptu concert took place at midnight on Sunday on the edge of the Lebedinoye Ozera (Swan Lake) in Yerevan, according to a tweet by reality television star Kardashian. “Crazy night! Kanye wakes me up & says he's doing a free concert in Yerevan, Armenia! I throw on sweats & we go!” she wrote in a separate post. Kanye — a 21-time Grammy winner — performed hits such as “Stronger” and “Jesus Walks,” according to footage uploaded to YouTube. He concluded the concert by jumping into Swan Lake, prompting dozens of fans to join him in the water. “Thousands of people were there! Kanye jumped in swan lake to be closer to the crowd on the other side & so many people jumped in too!” Kardashian wrote on Twitter. 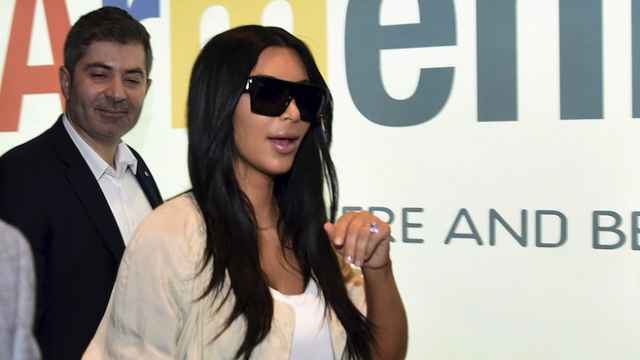 Kardashian, whose father was a third generation Armenian-American, arrived Wednesday for a tour of the country with husband West, daughter North and several other family members. Kardashian even had time to squeeze in a hug with an elderly woman who had waited three days to meet her, the Daily Mail reported Sunday. The Kardashian entourage on Friday also laid flowers at the Armenian Genocide Memorial Complex ahead of the country's 100th anniversary of the mass killings on April 24.